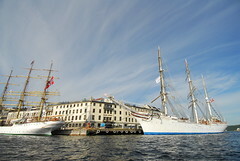 Every summer various tall ships visit Arendal. 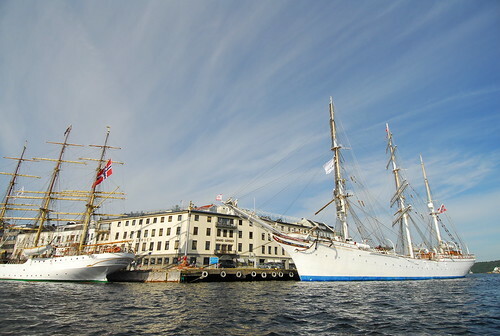 They are a reminder of Arendal's maritime history. Due to tall oak trees growing in the hinterland of Arendal, here some of Europe's most important ship-building activities once took place.